Tax time of the year can be such a drag for a lot of people. Although it is a time to financially reflect on your year, it also is a time that can cause a lot of headaches if you haven't stayed organized throughout the year. Whether you complete your taxes on your own or hire a tax professional to do them, there is always work that you need to do. Yes, more work if you desire to tackle this challenge on your own. But if you hire an accountant to do your taxes you still have to organize and compile all of your documents and tally up business expenses. The reality is that even if you are a newer investor with one or two properties you had a year of rental activities and whether it feels like a business or not....it is a rental business. So it's important that, especially during tax time, you treat it as such. 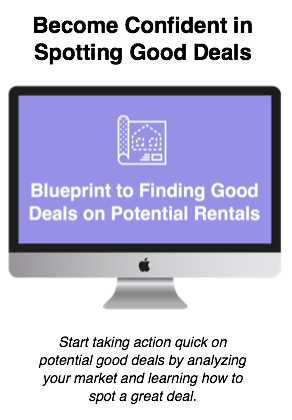 This can be scary for rookie investors, especially if you feel accomplished that you were able to find, buy, and manage your very own rental property. If you are reading this before you've started investing, great, you will know what things you need to keep track off throughout the course of the year when you finally get a property. If you already own a property, then hopefully this will reinforce or shed some light on something you hadn't thought of or kept track of before. Below is a list of the documentation and expenses that you will want to keep track off to give to your CPA. Real Estate Tax Records- This record you must seek out on your own and it can be found on the county website or on your escrow statement. HOA Dues/Condo Fees- Each month you should keep the statements that are sent to you so that you can total it up at the end of the year. **Tip: Hang on to these statements in a file in case you are ever audited. Management Fees- If you use a property manager, keep track of the monthly fee you pay them. Advertising- Any advertising fees that you have throughout the year should be totaled and given to your CPA. 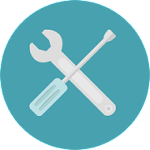 Utilities- If you, as the landlord, pay any of the utilities keep the statements so that they can be totaled and included in your overall analysis. Rent- You should use some sort of tracking system throughout the year that every time you received a rent payment, you enter it into a tracking system. You will need to total your gross rental income for your analysis and you should have a record to show these payments. Operating Expense List- This is a record that you create that keeps tally of expenses related to the operation of the business each year: gas, meals, contractor service calls, lawn maintenance, snow removal, etc. These expenses are deductible. Improvements- Any one time improvements that you make on the property should be tracked throughout the year. However, they are not included in your annual tax analysis and you cannot deduct the cost of those one time improvements. That record will be utilized whenever you go to sell the property to reduce your cost basis. What's that mean? You are going to sell your investment property in 10 years for $200,000. You originally bought the house for $100,000. So your gains would be $100,000. But, if you've kept track of these improvements, you add it to the $100,000 (original price) which then reduces your gains for tax purposes, requiring you to pay less in tax. 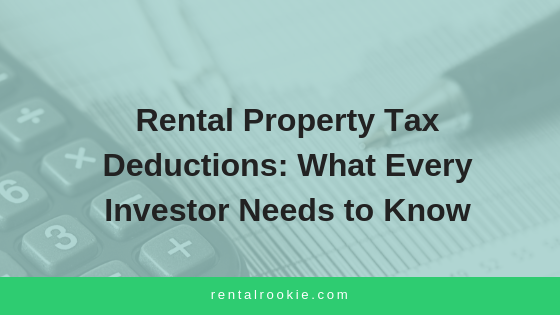 One of the many features of investing in rental property is that as rental business owners we are able to have tax benefits each year. While we don't necessarily feel these benefits as in money directly going into our bank accounts every month (like cash flow) tax laws do offer us an advantage in terms of mortgage interest reduction and depreciation that allows us to reduce or cost basis for tax purposes. For example, if you have a $100,000 property (structure only not land value) you are able to calculate your depreciation by dividing the value by 27.5 resulting in a tax write off of $3,636. This is savings that you don't feel every month but ultimately helps your business profits. There are multiple resources out there for you to use to keep your records. One specific one I use is the iSpending app on my phone. I can easily input information anywhere and it allows me to export my information to print to take to our CPA when it's that time. Yes, there are many things that you need to keep track of. But if you get a system in place, it can be rather easy and at the end of the day, when APril 15th comes around, you and your CPA will be breathing much easier! 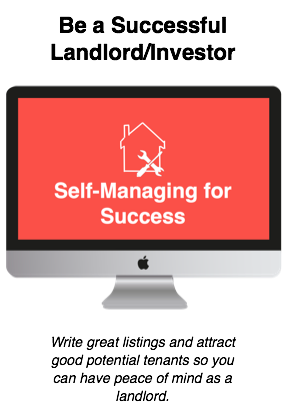 Click here to access on Ultimate Guide to Rental Property Managementon how to self manage your rental properties. We'll show you what you must have in your rental application, how and where to list your properties and why you should always conduct walk thrus with your tenants. Get started now.